There's no English league football this Monday but we have the usual NFL game with the Jets hosting the Dolphins & an interesting game from Spain in La Liga with Athletic Bilbao taking on Osasuna. We've had a look at both games & think we've found an edge in both of them to turn a nice profit. The winless Miami Dolphins are horrible, just horrible & a trip to face the New York Jets who will be desperate to arrest their own dip in form is not what they need. The dolphins have lost first choice quarterback Chad Henne for the season, we think that he's pretty poor anyway but having to go with someone the team feels is worse is not a good situation & they have Matt Moore stepping up who was with the league worst Carolina Panthers last year before injury ended his season. The Jets have been poor on defense this year whihc is surprising considering it is what their success for the past couple of seasons, where they've reached AFC championship games, has been based on. 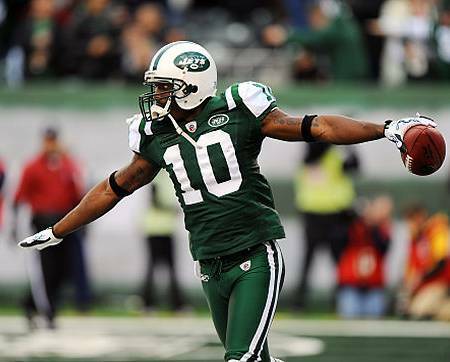 When you look at their last 3 games, that they've lost, you see that they've been up against the Ravens, Patriots & Raiders so these were top teams & the Ravens were monstrous on defense, the Dolphins don't look to have the weapons to hurt the Jets as they rely too much on wide receiver Brandon Marshall, the Jets will counter him by putting corner back Darelle Revis up against him & not having to use double coverage. On defense the Dolphins have been disappointing, struggling to make big plays with usually dependable players such as Kendall Langford & Karlos Dansby not getting the kinds of tackling numbers you'd expect. Overall the Dolphins just don't get enough pressure on quarterbacks & that would be the key to beating the Jets as Mark Sanchez has still yet to convince as a QB who'd be coveted by other teams, too often he lets his head drop & seems to go in & out of games. It could be that this game will be a confidence booster for Sanchez where he'll get plenty of time to throw to his receivers & the main beneficiary will be the outstanding Santonio Holmes he gets passed to all over the pitch & we think he can add to his 2 touchdowns so far this season, he can be backed at Evens to score anytime. We can see the Dolphins struggling all game when it comes to the redzone & although the Jets aren't usually high scoring they can win this one & cover the -6.5 points on the spread to get their season back on course. Pamplona's Osasuna travel to take on Athletic Bilbao in a match between some of La Liga's less glamorous teams but both sides have positive qualities & this should be competitive. Osasuna fans could have been forgiven for expecting the worst this year after their side lost 8-0 to Barcelona offering very little resistance but how their season pans out isn't going to be decided in games against the top sides & they've conceded just 4 times in their other 5 games although they've only scored 5 themselves. 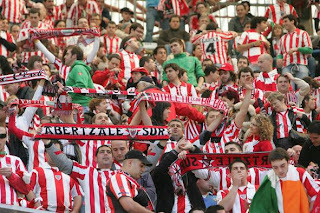 Bilbao have only won once in the league so far but they haven't disgraced themselves & they will have been pleased to see star striker Fernando Llorentes score twice in the 2-1 victory against Real Sociedad last time. These teams finished 6th & 9th last year & will both see this as a game they can't afford to lose, that sometimes leads to slightly stilted games where both sides are afraid to commit & we'd be surprised if the total goals weren't under 2.5 goals & the 8/11 on offer should be taken, we think Bilbao might just edge this but we're not keen to back them at odds on. Its Business, its Business Time! Tractor Boys to keep on Rolling Rolling Rolling! Fallon to fulfil his Destiny & become champion?